I would exchange it, not repair it. Are there even repair kits available anymore? Have not see one in years. If it is a Bard, dual lumen groshong PICC, they aren't repairable according to the rep. in my area. If the body of any dual/triple lumen PICC is damaged it can't be repaired. However, if you have a Groshong PICC, and the damage is on the hub extension tubing on the proximal end, it can be repaired if you are able to slide the oversleeve into position. There are repair kits available from Bard. The single lumen Groshong PICC can be repaired also. I understand that the Groshong repair kit is the only one considered to be a permanent repair, and that all other kits are considered temporary, and the PICC has to be replaced ASAP. Often when a PICC is damaged, the catheter has been partially pulled out and it is essential that you confirm central tip placement with a CXR. If you have a Groshong PICC the measurements start at the distal end of the PICC and you are able to accurately confirm internal length of the PICC. If the measurement is the same as the initial insertion length for distal SVC, a repair can be done if the integrity/sterility of the catheter has not been compromised. As always, if the PICC can't be repaired, or sterility of the line is compromised, it is always preferrable to insert a fresh PICC rather than exchange of the damaged catheter. 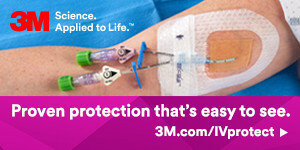 Dianne Sim RN, VA-BC, CEO; IV Assist, Inc.
Why would you want to use a catheter that you need to repair? I do not feel comfortable making a repair as sterility is an issue, no way to tell how contaminated the PICC is at the break, unless you witness it. I prefer to use a catheter made of polyurethane, much more durable and from a company that has a history of quality, so a break would be a rare thing. If there is a break, or pinhole (more common), I would do an exchange.